An ancient passion, two protagonists, a King. 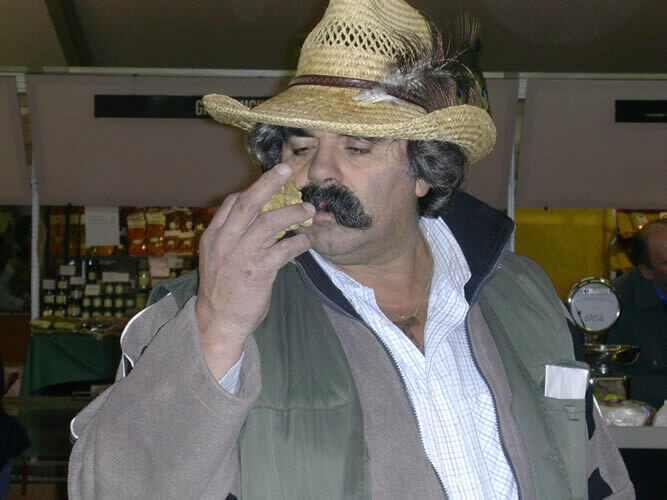 We're talking about truffle hunting (King of the Langhe) made ​​by the skilful hand of the truffle hunter and by the unerring eye of his tabui (truffle dog), among the woods of the truffle of the Langhe that extend from Alba until Monferrato, passing across the Asti. An art that Giovanni Ronzano, assisted by his son Marco, knows well for decades, and that has brought a lot of satisfaction to the farm. 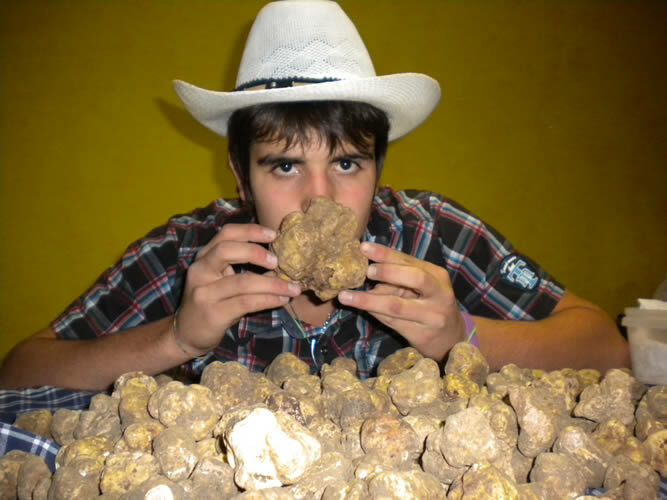 The King is the white truffle of Alba that Giovanni has been able to appraise during the International Fair of the White Truffle of Alba, in that Palatartufo where the King has awarded several times his faithful squire Giovanni, recognized as one of the greatest performers of research Magnum Pico. Matter of instinct, we can say, adding the word "passion" for the excellence of the land of the Langhe. Go in search of truffles: from us is possible thanks to the events that we organize on reservation for people who are keen on wine and food, in order to make them live the emotions that offers a similar experience. Among woods, trails, sounds of nature, you will understand the true importance of this ancient custom. And after it, everybody sit at the table to taste the truffle together with dishes that enhance the aroma and flavour: raw meat, eggs, tajarin, just to name a few. We offer private customers and restaurants, depending on availability, fresh truffles blacks and whites exclusively of the area. Deliveries are made directly or by courier service in special packaging in order to maintain the authenticity and freshness of the product. Orders will be processed within a maximum of 48 hours of ordering.